The redesignation of the center, which is located on Edwards Air Force Base, was directed in legislation authored by Congressman Kevin McCarthy. 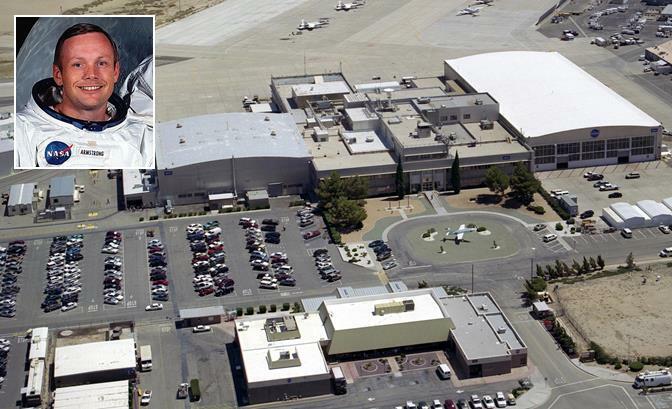 EDWARDS AFB – NASA’s Dryden Flight Research Center today is officially renamed the Armstrong Flight Research Center in honor of astronaut Neil Armstrong, the first man to step on the moon during the historic Apollo 11 mission in 1969. Armstrong, a former research test pilot at the center, died in 2012. The late Hugh L. Dryden, the center’s namesake since 1976, will continue to be memorialized in the renaming of the center’s 12,000-square-mile Western Aeronautical Test Range as the Dryden Aeronautical Test Range. The redesignation of the center, which is located on Edwards Air Force Base, was directed in legislation authored by Congressman Kevin McCarthy. The resolution was passed unanimously by the House of Representatives in early 2013, with the Senate concurring in early January, followed by President Obama’s signing it into law Jan. 16. Armstrong had significant ties to the center, both before and after his days as a NASA astronaut. He served as a research test pilot at the center from 1955 to 1962, amassing more than 2,400 flight hours in 48 different types of aircraft, including seven flights in the rocket-powered hypersonic X-15. Armstrong was part of a team that conceptualized the Lunar Landing Research Vehicle, a flight test craft that evolved into the Lunar Landing Training Vehicle. Armstrong and the other commanders of Apollo lunar landing missions trained in that vehicle for their descents from lunar orbit down to the surface of the moon. Following Apollo 11, Armstrong left the astronaut corps and became NASA’s Deputy Associate Administrator for Aeronautics, overseeing aeronautical research programs being conducted at the center, particularly its pioneering work on developing digital electronic flight control systems. Dryden, considered an aeronautical engineering genius, focused on high-speed flight during his tenure as an aeronautical scientist with the National Bureau of Standards. Dryden served as deputy administrator of NASA until his death in 1965. The organizational genius of Dryden was at the root of Armstrong’s most spectacular flight achievements, from the X-15 to Tranquility Base. The video below details Armstrong’s seven years as a research test pilot at the center that now bears his name. 3 comments for "NASA honors Neil Armstrong with center renaming"
I believe the flight center should be named the Obama Biden Flight Research Center. Da’y both have done more for NASA than anyone.